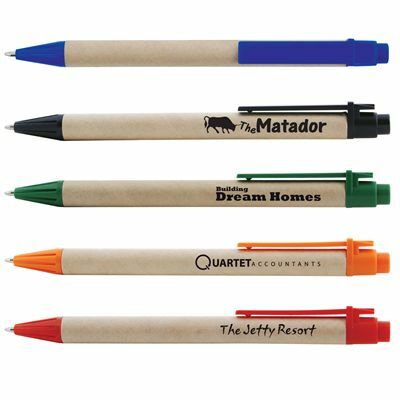 Unbleached cardboard barrel ballpoint pen with plastic push button cap clip & tip. Push button action. Search tag: MMs.